When you first enter Island Chocolates in Victoria by the Sea, it feels like you’ve gone back in time to a general store of the 1800’s. That’s because you have! The building was actually the Wright Brothers General Store from 1888 into the 1960’s. It still has that charm because the Gilberts did their best to restore most of the building to its original look and feel. But for Eric, one of the principals along with his mother Linda and sister Emma, the chocolate business is more than just manufacturing and retailing. He is involved with the total supply chain, from planting cocoa trees in Ecuador to harvesting, shipping, importing, distributing and ultimately selling chocolate products. Eric started in the family business when he was 11 years old, and grew up making chocolate confections by hand. 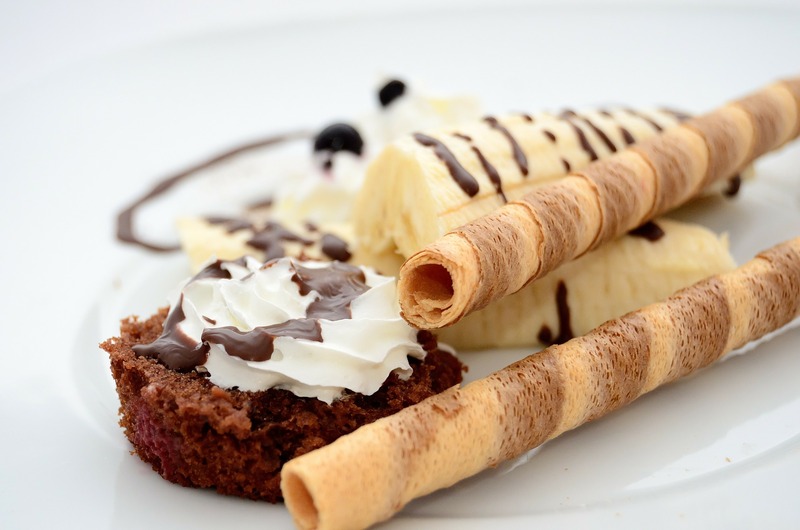 He learned how to temper chocolate and create pralines, bonbons, ganache, truffles, molded chocolate, crème centers and other delicious creations. Unfortunately, his father died early and unexpectedly so the whole family found themselves on a steep learning curve to keep the business viable. As part of a university work placement project, Eric traveled to Ecuador where he worked with local farmers. That is where he found his real passion − agriculture. Once he saw the cocoa pods growing on the trees and how they were harvested, he wanted to go much deeper. As well, he saw the local farmers were not always getting a fair deal from buyers and shippers. He made it his mission to improve the situation for them and ensure that they were treated fairly, as well as grow and improve their working and living conditions. He learned the process from beginning to end. He has now been traveling to cocoa growing countries for 10 years and is immersed in understanding how to make the crops more productive through cross-pollination, and how best to preserve the soil for long-term viable growing. When he first became involved, the condition of the industry was equivalent to where PEI was growing potatoes back in the 1950’s. The farmers did not even possess telephones for basic communication, nor did they have the skills, education, and knowledge to collaborate and build a cooperative business model. Eric’s focus now is to help build a sustainable farming environment and create a win-win culture for everyone in the chocolate industry supply chain. His longer-term plan is to purchase a farm in Ecuador and be a consultant for other cocoa growing regions helping them to develop knowledge and skills to be more effective. He is also hoping to become a distributor and bring more chocolate commodities to North America, while at the same time supporting sustainable farming, without insecticides, and bringing prosperity for the local growers. 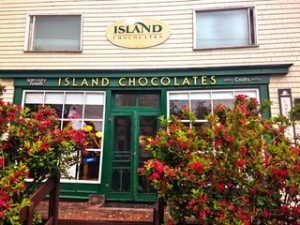 At Island Chocolates in Victoria, the Gilberts present workshops that teach the total process of how chocolate starts as pods on trees, to harvesting the beans, to making the molds that eventually creates the chocolates we love so much. Island Chocolates is proud that not only is it involved in the overall industry, but also grows (organically) much of the fruit that goes into those delicious creamy centers. Do you understand the total supply chain value of your products and ensure that every stakeholder is getting a fair deal in the process? ← Brand ON or Brand Off?